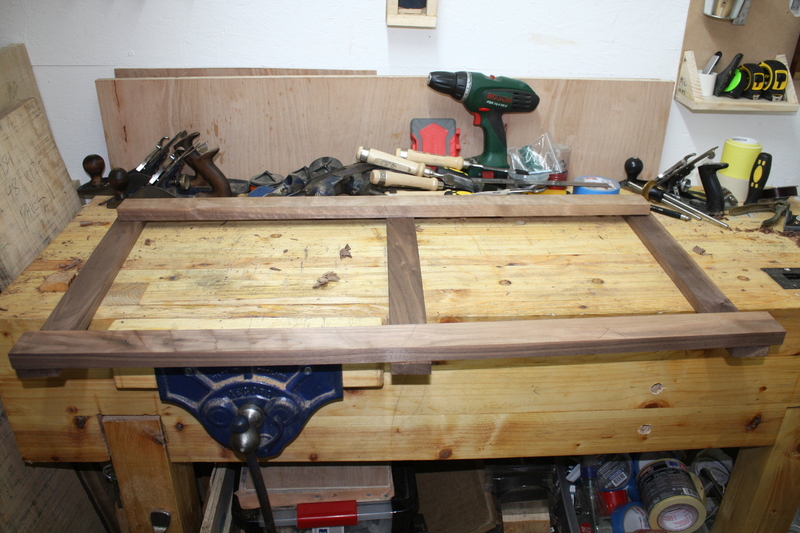 That’s the last walnut board to be planed and ripped for the frame for a little while might be one or two more to do yet, but I want to get some components made up and get moving on it. So I’m starting with the most independent part of the design, the platform for the mattress. Measured off three walnut cross pieces, the two walnut long pieces, I need to think about whether there should be more ash cross pieces (I’m leaning heavily towards yes), and there’s another pair of cross pieces to go under the platform to secure it to the frame, but they can wait for now. 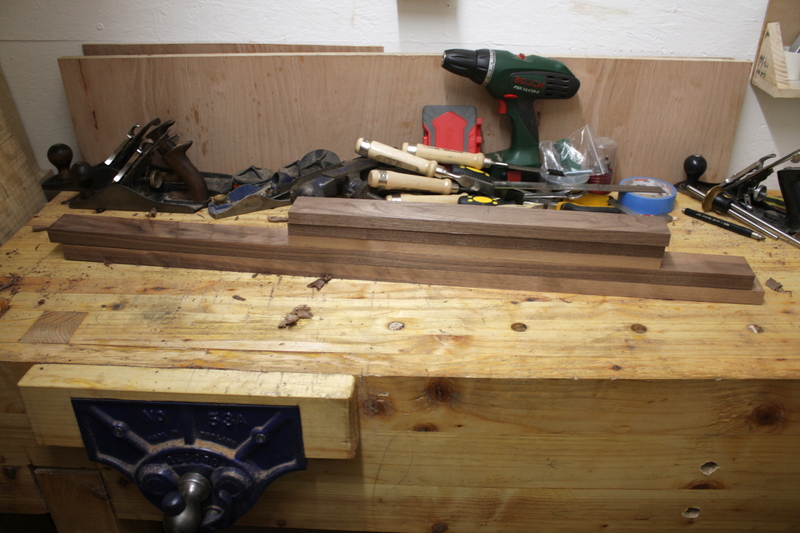 Lots of planing to thickness (using a scrub plane on walnut is vaguely wrong somehow) and getting the components square where they need to be and within a mm of each other’s dimensions. 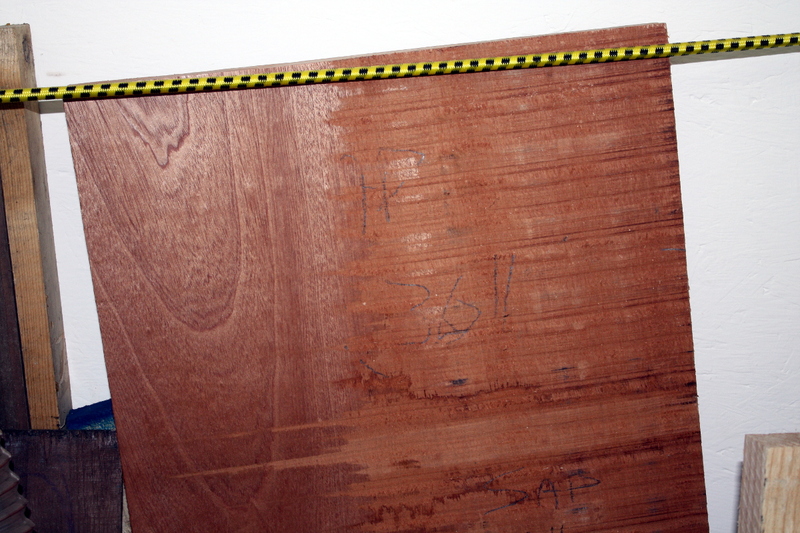 They’ll be mortice&tenon joints, not half-laps, I just wanted to get a feel for the size of the thing first. I’ll check again before cutting the joints by laying it out on the mattress itself (just to be sure). Once the pieces for this start coming together, it’ll be relatively fast compared to the stock preparation. One thing that’s changed in the last few days is that I got a measurement of the mattress height that this will match (sidecar cots’ mattresses are at the same height as the mattress of the bed mommy is in) and it’s much lower than I’d thought (I was using my bed as a rough guideline) which means that the steambent piece can be a single length of walnut from the ground to the rear crossrail, instead of there being a leg, a complicated scarf joint and then the steambent part. That makes things easier, but I might want to use a longer length of walnut for those parts just to be sure I have enough margin. I’ll bend one of the shorter lengths I have now, see how that goes and if it’s not long enough, I’ll prep and use the longer lengths.